Here’s an update on current race status towards evening of today’s race (CET). The current leaders of the FL-1200 pack have covered some 240 kilometres (150 miles) when they rest at checkpoint Jergul tonight. Ola Brennodden Sunde was the first musher to arrive in Jergul at 16:28 CET. The 28-year old then said he expected to rest here for a couple of hours. Following behind hime was Birgitte Næss, arriving an hour and five minutes later. Favourite Dallas Seavey arrived in Jergul at 18:50 CET, i.e. two hours and 22 minutes after Ola Brennodden Sunde. Tom Frode Johansen was the first to leave cp Jergul. Johansen does not rest on checkpoints and only stopped for 11 minutes before departing at 20:30 CET. So far, the mushers keep fairly similar speeds and there is little to separate the lead pack. Please click here for an current list of results so far. The FL-500 class has a new trail route this year, just like the FL-1200. 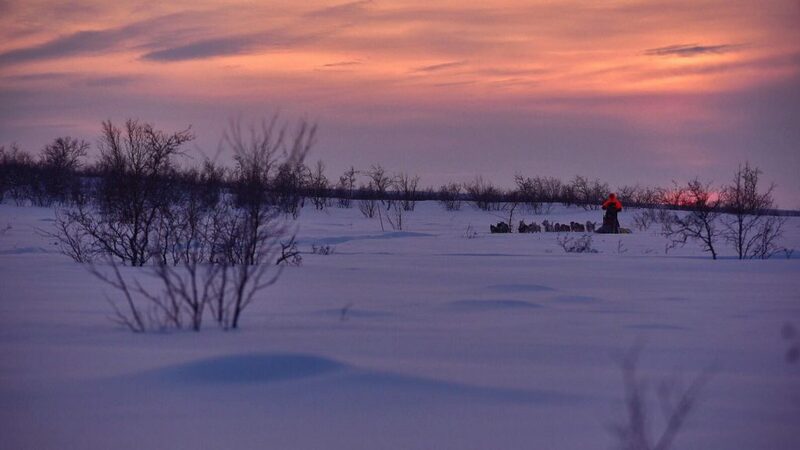 The lead pack of FL-500 is currently in Jotka after mushing 80 kilometres. The fastest of them all is Jiri Vondrak from the Czech Republic, who took five hours and 40 minutes to get here. Harald Tunheim and Elisabeth Edland’s being next in line is not very unexpected. Mushers have to rest for two mandatory hours in Jotka. After that, they hit the trails for the longest ever FL-500 leg taking them 120 kilometres (75 miles) to Kautokeino. The first teams arrived at checkpoint Jotka as pearls on a string. Only 16 minutes distinguished between the first and the tenth place. The local favourite and the youngest musher of this year’s race, Ole Henrik Isaksen Eira, was the first one to arrive. 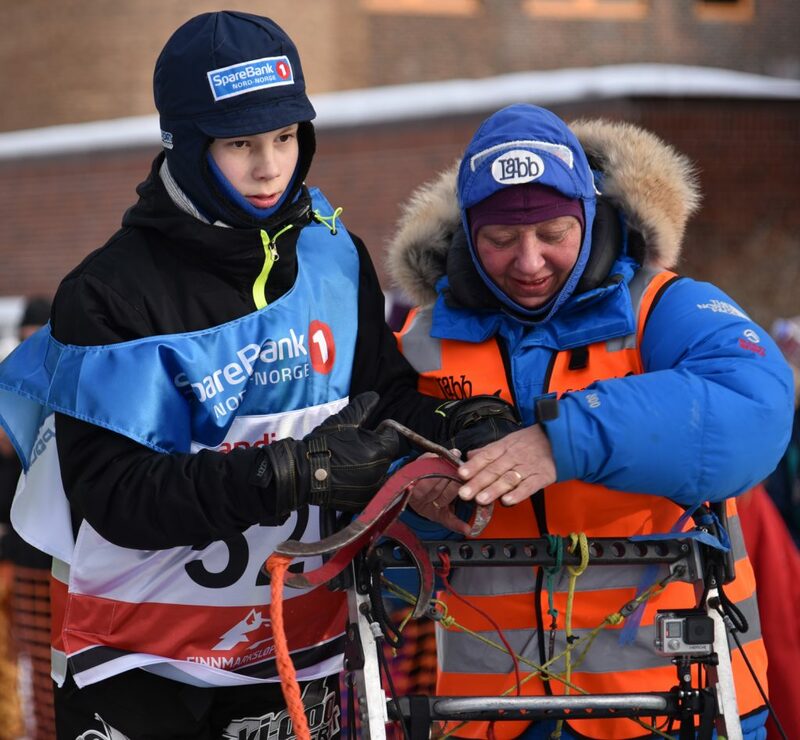 The junior mushers had three hours of mandatory rest at cp Jotka. Time alignment from their starting times was also adjusted before they departed Jotka. The junior class has six hours of mandatory rest at Suossjavri, the next checkpoint. After that, their sleds turn back towards Alta, where the first teams are expected at the finish line around 12 noon Sunday CET.